I bought this mainly to make the optical drive an external OD so that I can install a SSD into the OD bay. Tested this cable on a 2.5" HDD and so far it works perfectly and has freed up a USB port that would have been used to power the drives as well. I will be buying more of these cables in the future. 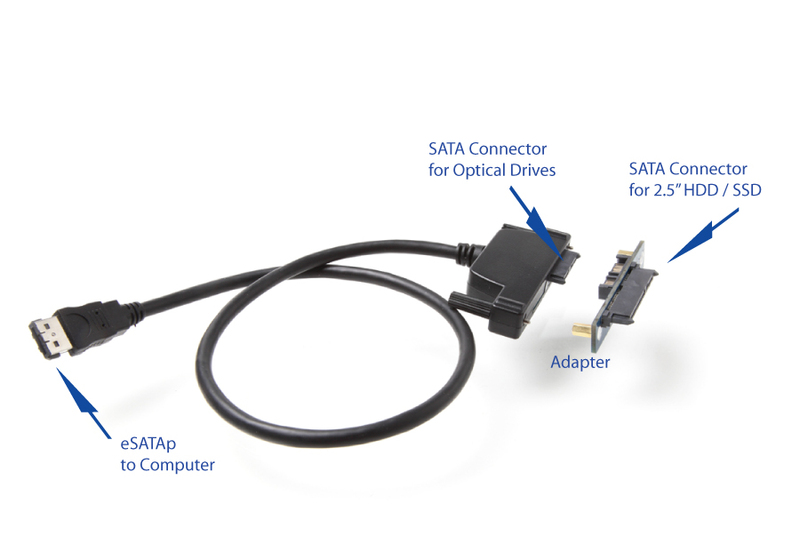 The only regret is not being able to get the 12.7mm rubber enclosure with this kit, but I chose this kit over the ones specifically because it included an adapter so that 2.5" SATA drives can be used as well. Very pleased.